American Babies’ “Flawed Logic” will be released on April 19th, but you don’t have to wait until then to get your hands on some of the songs. 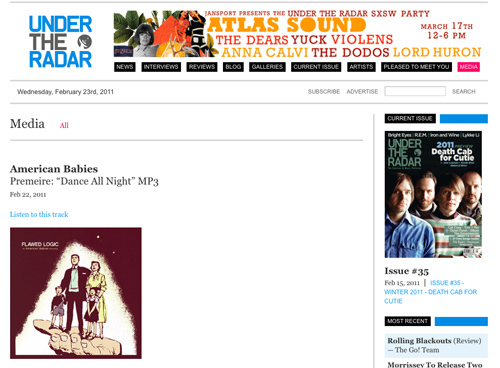 We’ve partnered up with Under The Radar Magazine to premier the single “Dance All Night” and give it away for free! Please grab it here.